Once the world was on the path of destruction. But the world, which was to be destroyed, was saved by the “knight” without a single name. Rumors among people began to flow. 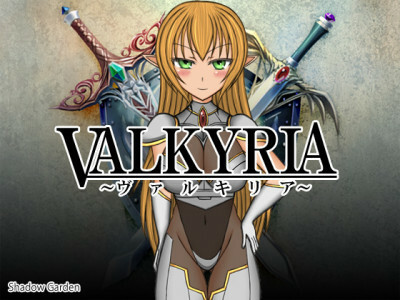 "If you become a Valkyrie, you can fulfill any desire." "If you become a Valkyrie, whatever you think"
Youth Hans lives in the mine village "Ruteriya"
This is Rammel's boy, a weapon shop in the village. Someday I must inherit my man's footsteps and continue with a gun shop. It was his “fate” that was born the boy of an arms shop. It's not bad to grab, like a gun shop like this. But ... am I still dealing with myself ...? The ancient ruins of the mystery are excavated deep inside the village’s mine.